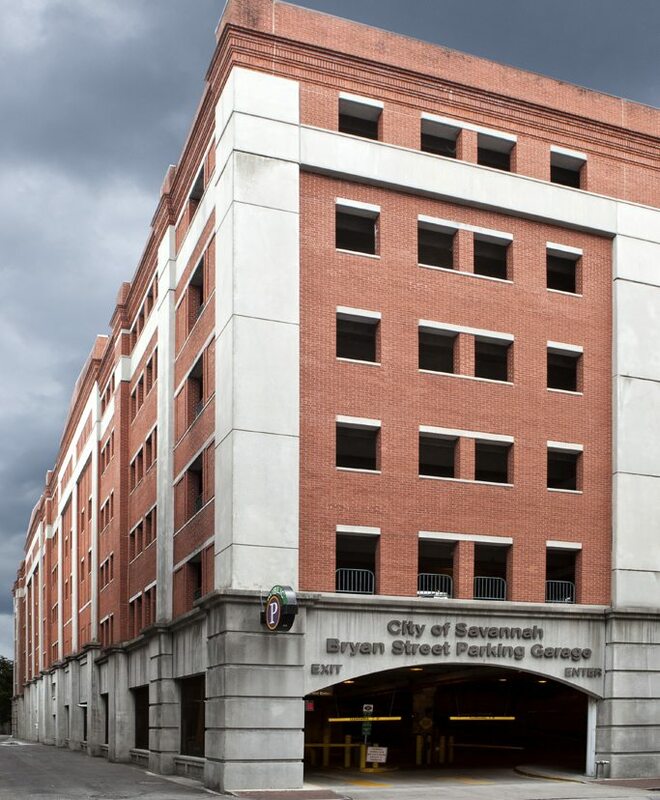 Constructed in historic Savannah, this 497 space parking structure was constructed using custom steel forms using over 1,000 pre-cast components. 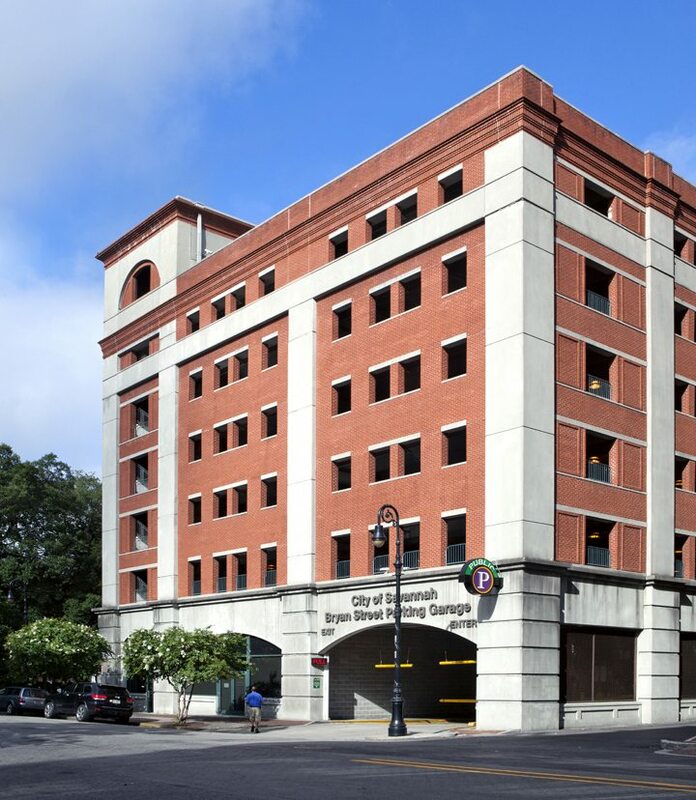 Considering the building’s size (75’ high and 300’ long), city officials were anxious that the new garage not overpower or dominate the adjacent buildings and landscape. To ensure this didn’t happen, the building was designed using exposed pre-cast columns to segment the structure into a series of distinct vertical sections that breakup the building’s horizontal plan. 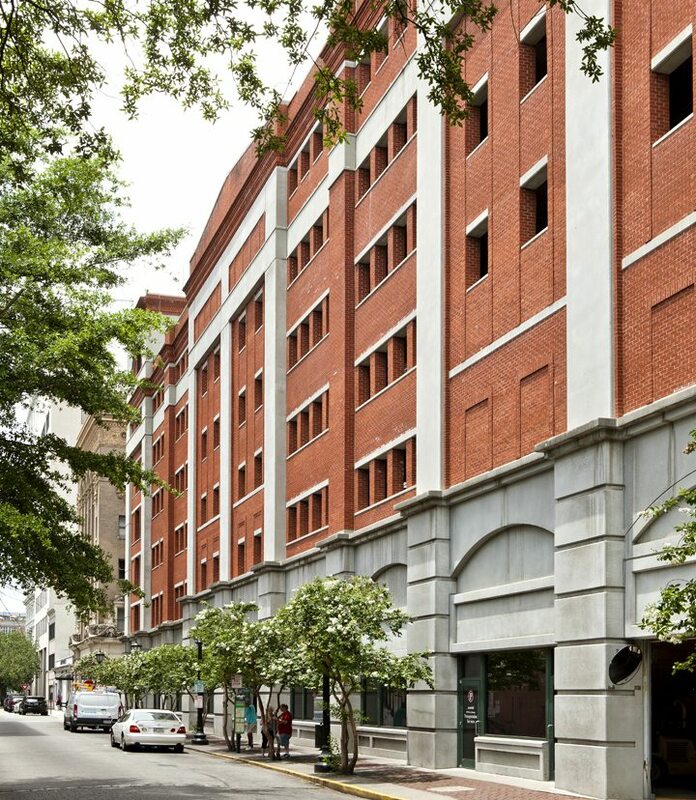 The exterior incorporates brick and pre-cast elements to form pilasters and window-like openings on scale with those in the surrounding 19th and 20th century buildings. 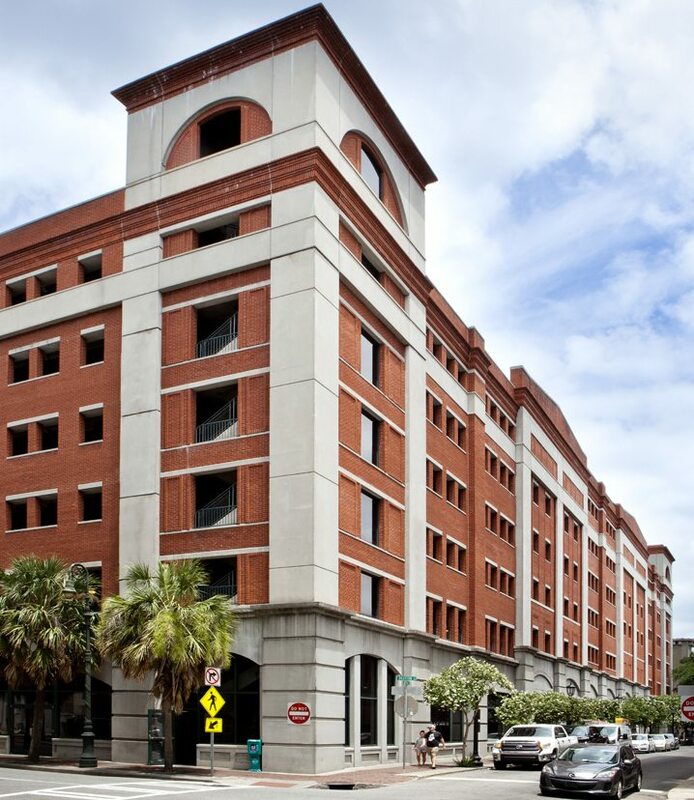 The project was a PCI National Design Award Winner for Best Parking Structure.